The electric range is great for families who love to cook meals at home. The 4-burner stovetop makes it easy to multitask your way through almost any recipe, from simple pasta and sauce to a multi-step gourmet holiday meal. Designed to make getting meals on the table less of a hassle, the range has easy-to-use controls with functions, like Warm & Hold to keep finished foods nice and hot until meal time without over cooking. 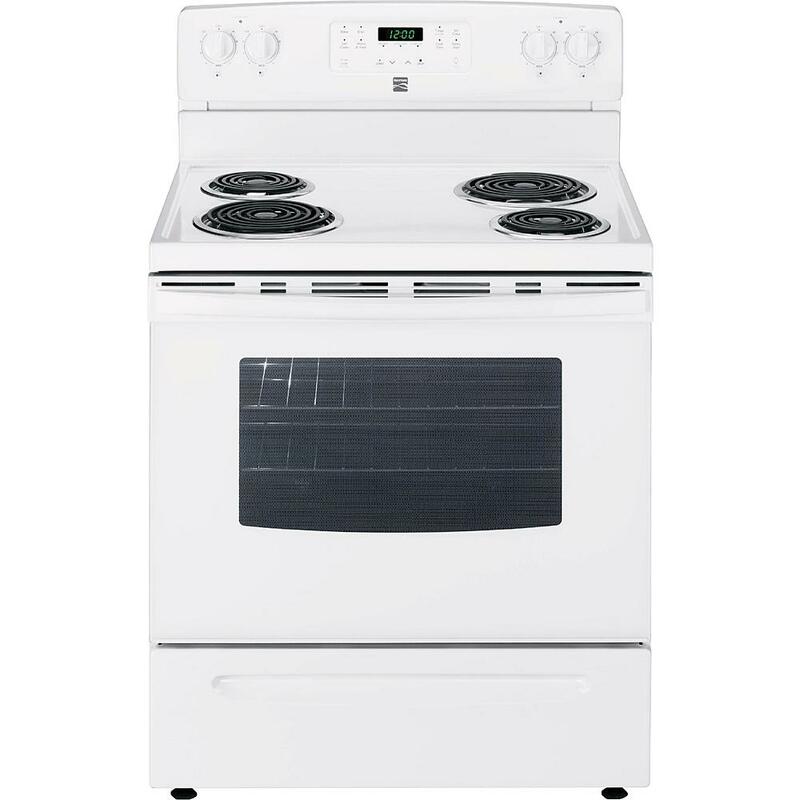 The spacious electric oven is perfect for tossing in a casserole or 3 or a Thanksgiving turkey. Adjustable racks and a large oven window give you plenty of space to work with, both in and outside of the oven.